Since its creation in 1959, the MINI brand has always stood for ideas, inspiration and passion. A new MINI facility in Sacramento , California reflects the combination of clear, emotionally-appealing design with a focus on the essential. With a total building area of 33, 862 sq. 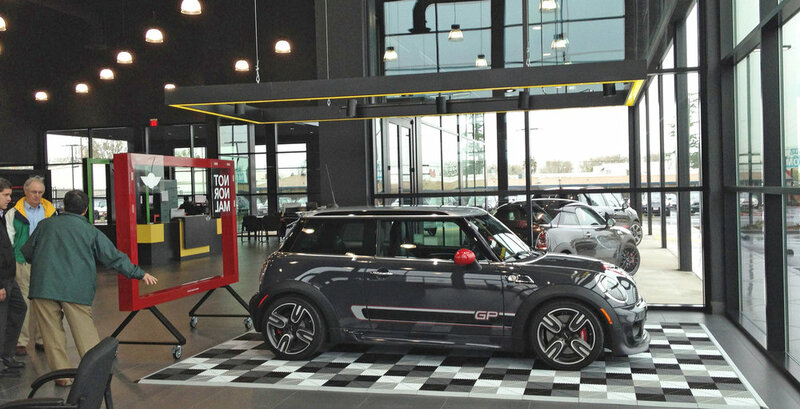 ft., the black metal and glass facade of the showroom and service drive and supergraphic MINI signage create an unmistakable image. 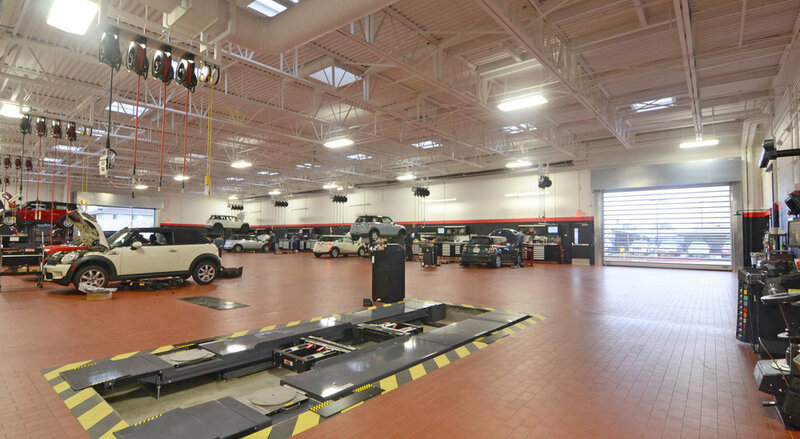 The service area contains 19 service bays and a Clinker tile floor.